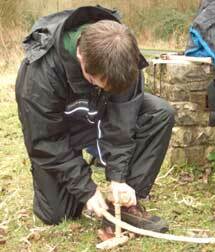 A full day introduction to Bushcraft which is the art of learning to live comfortably in a wilderness environment. By the end of this course your eyes will be wide open to a completely different way of life. This is one weekend survival adventure that you will be talking about for years to come. The course starts on Saturday morning and finishes at midday on Sunday. 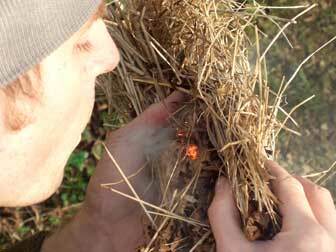 During this time you will learn how to light a fire using friction, how to build a shelter, how to identify edible and useful plants, how to purify water, how to cook on a wood fire and lots more. This course is run by one of the UK's leading Bushcraft/Survival instructors and your base whether in North or South Wales, is located a short taxi ride from local nightlife should you need it. Accommodation for the Friday night is camping and on the Saturday night you will be wild camping in Bush Shelters. Very Ray Mears!